The iPhone is widely recognised as the world’s premier smartphone, and its screen displays, touch sensitivity and processing power are second to none. Such a fine piece of equipment deserves equally impressive software, which is why the Eurogrand mobile casino app is such a good fit. Eurogrand Casino is licensed by the Government of Gibraltar and the UK Gambling Commission, and is independently endorsed for safety and fairness by Gaming Laboratories International. You can trust that all of its high standards are monitored and maintained, so you can relax and focus on your games. After you’ve read our mobile Eurogrand casino review, that’s just what you’re going to want to do. You’ll be impressed by the smooth and sleek look of the Eurogrand from the moment you enter the lobby on your iPhone. This casino caters to sophisticated players, and the elegant black background and superb graphics make this very clear. The app is very easy to navigate, and with your iPhone touchscreen at your fingertips it is even more so. The sharp colours and well-rendered images of the game title on the casino’s home page gives you a good idea of what is to come. The high payout percentage that Eurogrand offers means it’s always rewarding to play, and the world-class Playtech suite of games means it’s always enjoyable. The marvel-based Slots games that are always so popular can all be enjoyed, as well as several other Slots titles. Video Poker, Roulette, Baccarat, Caribbean Stud Poker, Bingo, Scratchcards and many other casino classics will engage you no matter where you are or what else is going on around you. As long as you’ve got your iPhone with you, the fun is where you are! Once you’ve used up your fantastic Welcome Bonus at the Eurogrand, there are many other casino promotions to help you swell your account. These change regularly, so make sure you always check the promotions page when you visit and take full advantage of them all. The VIP Loyalty Club will help you to earn points that can be converted to bonuses and other prizes such as exotic holidays. 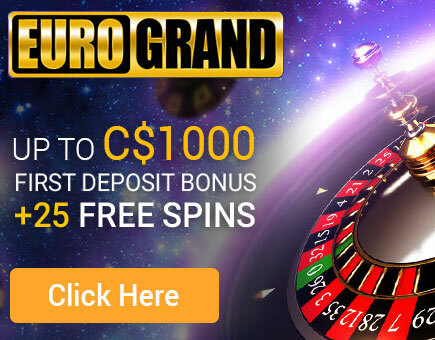 When you play at the Eurogrand mobile casino, the luxury of the site and the fantastic bonuses and payouts will make you feel like the valued customer that you are. Treat yourself to a visit today. A good range of transaction options means that banking is easy and convenient for every player at Eurogrand mobile casino, and each transfer is encrypted using cutting-edge SSL technology. Along with the strong Customer Support services, this should mean that you can spend as much of your time at the Eurogrand mobile casino actually playing and enjoying yourself. The Eurogrand’s Customer Service Liaisons can be reached at any time via live chat, email, telephone or even fax, in no less than 15 languages. Any issue that you have will be resolved swiftly and efficiently, creating seamless playing experiences.